Wearing a comfortable swimsuit and goggles are two key accessories that can help make any swimming experience more enjoyable. Invest in a good adjustable pair of goggles that don’t hurt your face and it will make all of the difference in the world when it comes to continuing your underwater workouts! A lot of beginning swimmers dislike having to rotate the head and neck to breathe when swimming in stroke. To mitigate this need, consider purchasing a snorkel to calmly breathe with the head/face in the down position to allow for uninterrupted exercise. Whether breaststroke or freestyle, or another stroke of choice, keep it simple with your workouts and concentrate on the correct forms of one stroke at a time to enhance mental energy and harness physical benefits. Whether fins or a kickboard, there are many different pool accessories on the market that can help keep every workout fresh! Don’t just rely on swimming, look for additional options that can broaden your range and allow your workout to target specific muscles! A soak in your neighboring hot tub is a great way to warm up or sooth your body after a session of swimming. Taking the proper time to stretch and care for yourself is key in any wellness routine. 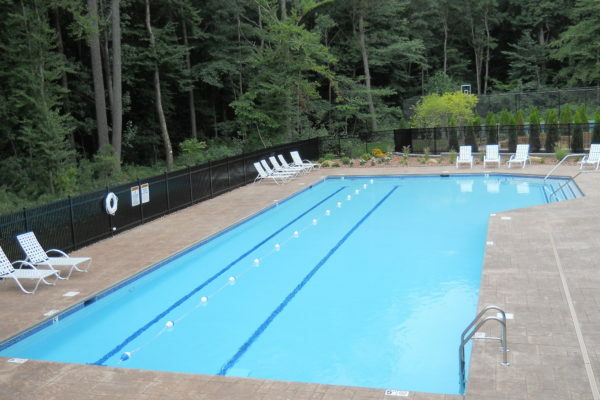 At Aqua Pool, we can help bring your pool dreams to fruition so you can reap the benefits of swimming at home! Talk to one of our professional staff members today about what we can do to help you get in the water!